Winning the acclaim and respect of our peers seems to be deep rooted in all artistic endeavour and designers and creatives are no different. But it’s also important for business. Entering awards shows that the business cares about creativity and quality, and winning them is affirmation that we are good at it. They say a lot about who we are and why we do what we do. And, of course, not all awards are the same – some matter more than others! 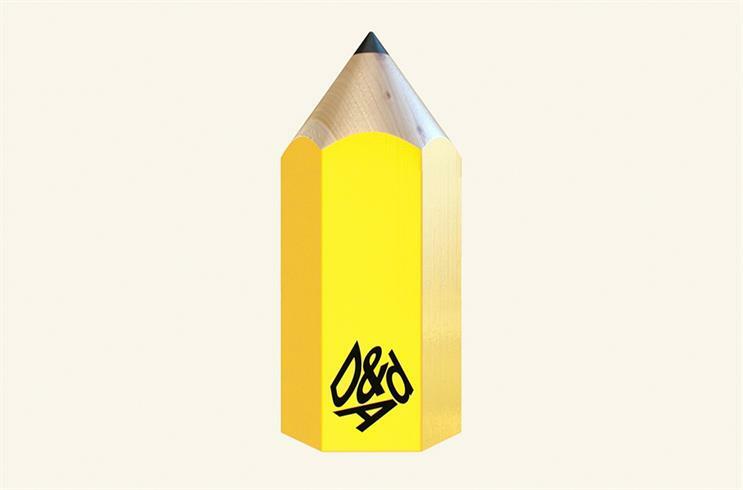 And, to us at Seymourpowell, as in most of the agencies I know, the Yellow Pencil is the most coveted… well, that’s not quite true, as a Black Pencil is the ultimate aspirational award, but that’s so rare it’s widely considered as unattainable! But coming back to the Yellow - why do we value this award above all others? It’s because D&AD’s awards focus on creativity – great ideas beautifully executed, a phrase which captures creativity and craft to the exclusion of everything else that tends to clutter and cloud the thinking of judges. You don’t get a Yellow Pencil for being successful, nor for making money, nor because your mate is a judge, nor because your client is a sponsor. You only get a Yellow Pencil for a brilliant idea which is outstandingly crafted… and that’s a call made by judges who are your peers; these are people whose opinion you respect. What all that adds up to is rarity. D&AD judges are very picky about what is worthy of a Yellow Pencil; there is a standard below which work should not be awarded and it’s a standard that has been honed and debated among judges for the last 50 years. It’s very hard to win a Yellow Pencil and that makes winning one all the more sweet. But there’s more to this than just being hard to win. There’s an emotional connection too – I’ve been working with D&AD for about ten years and what I see is a living breathing community of people, both inside and outside the organisation. Inside, there is its passionate and hard working team; outside, there are the creatives who enter the awards, the judges, the agencies, the educators, and the contributors. And all of them care about creativity and its value and importance to society, to business and to life. This is the view that I value. This is the view which gives the Yellow Pencil its legendary status. And you can’t buy that! D&AD’s Awards are not for profit. It’s a charity (the money it makes from Awards goes to furthering its charitable aims), which gives its Awards probity – there is no other agenda, there are no awards targets, there are no financial targets, and there are no commercial pressures on judges. The Yellow Pencil is an unalloyed accolade of creative achievement… that’s it. And, frankly, how many other awards shows can you say that of? That’s why nothing matters more.